Sherry Fitzgerald Gallagher are pleased to bring to the market, Drumquil, Castleblayney, Co. Monaghan. A residential farm extending to 4.69 HA (11.58 Acres) approx. Drumquil is located approximately 2 km from the village of Annyalla and 5 km from Castleblayney town. A detached cottage situated on lands that extend to c. 4.69 HA (11.58 Acres). The lands lie in two parts, a collection of fields surrounding the dwelling c 2.99 HA and two fields c 1.71 HA with frontage along the public road. The lands are of good agricultural quality. The picturesque cottage comprises in brief an entrance hall, sitting room, kitchen/dining, utility/rear hall on the ground floor with three bedrooms, bathroom and storage upstairs. Maps and further details available upon request. Sitting room: 4.5m x 4.2m. Bedroom 1: 2.4m x 5.3m. Bedroom 2: 4.2m x 2.4m. Bedroom 3: 3.3m x 2.1m. 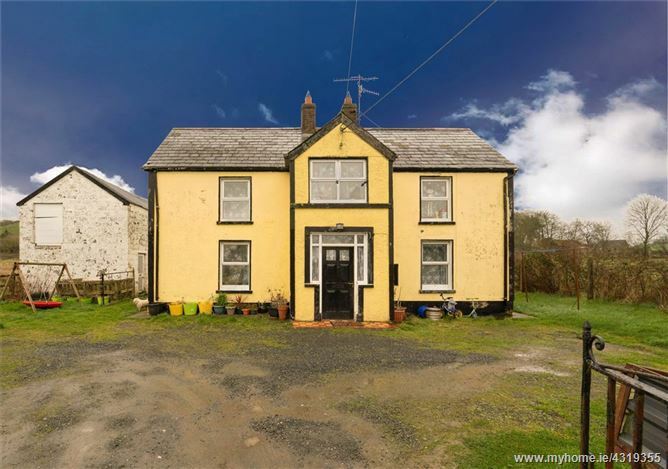 From Annyalla Village towards Castleblayney/Dublin, continue along the N2 for approximately 2 km and the entrance to the property and lands are on the left hand side, see Sherry Fitzgerald sale board.